Agribusiness involves one in every four jobs in Nebraska, and one in every five jobs in the U.S. The agribusiness major is a joint program between the College of Business and the College of Agricultural Sciences and Natural Resources (CASNR). It was the first program of this kind in the U.S. and is designed to blend the technical competence of modern agricultural and food systems with the decision-making framework of business to meet the agribusiness industry’s needs. This program provides you with a unique opportunity to pursue a rigorous program of study in both business and agricultural sciences. 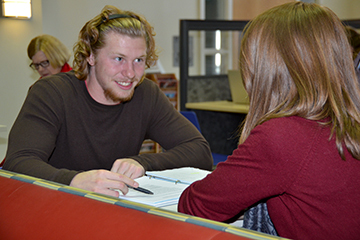 Learn about the courses offered in the College of Business agribusiness major. Learn about career options and internships in agribusiness. 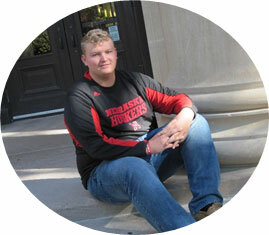 Learn about a variety of scholarships that are offered in the College of Business and Nebraska. 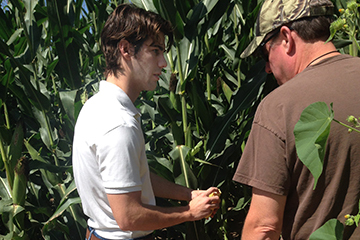 Learn about student organizations that are available for agribusiness majors. 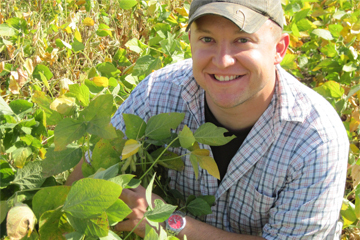 Learn about additional resources that may support you as an agribusiness major. "Within this program, I can combine my career goals of becoming an entrepreneur and rural real estate investor." As an agribusiness major you have the unique opportunity to combine expertise from the College of Business and CASNR to meet the industry’s need for employees with training in both areas. 24 hours consisting of 6 hours of Production; 9 hours of Non-Production; and 9 hours of CASNR electives. Production coursework includes classes from departments such as Agronomy, Animal Science, Horticulture, and Natural Resources. Non-Production coursework includes the departments of Agricultural Economics, Education, Communication & Agricultural Leadership. CASNR electives consist of nine additional hours of coursework from any CASNR department. You can tailor the agribusiness major towards your interests by choosing your production, non-production and CASNR elective classes to build your chosen expertise. Agribusiness students interact with agribusiness professionals through learning opportunities, both in and out of the classroom. The Agribusiness Program Office in the College of Business continually updates information on internships and permanent employment opportunities. During the Ag Career Fair held each Fall and Spring semester, many companies come to campus to provide information about employment, answer questions, and accept resumes for internships or employment after graduation. The Business Career Center can also assist you in gaining internships and permanent employment. Internships are an important part of your college education and can help build your resume for future career opportunities. 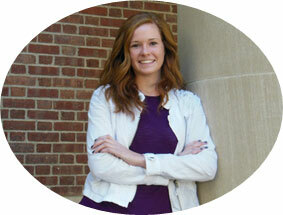 Check out and see what internships our agribusiness students have participated in! A number of scholarships are available each year specifically for Agribusiness majors. These scholarships are awarded on the basis of merit, need and/or area of interest. College of Business upper-class scholarships are also available for students who have completed 12 credit hours at Nebraska as students in the College of Business. These college scholarships are awarded to outstanding students depending upon major, extracurricular activities, grade point average and financial need. University of Nebraska-Lincoln students have access to countless activities and organizations related to specific academic, social, cultural, or political interests. As an Agribusiness major, you have some unique membership opportunities such as the UNL American Marketing Association Collegiate Chapter or the Agricultural Economics/Agribusiness Club, all of which provide opportunities for interaction with agribusiness professionals, faculty, and fellow students. Involvement in these and other organizations builds leadership, communication, teamwork, and organizational skills - skills that are paramount in today's world of agribusiness. Moreover, such activities provide a means for you to interact and form lasting friendships with others who share similar interests. Employers also look for students who have been involved on campus. Students are encouraged to be involved in organizations on campus, and take leadership positions during your junior and senior year. "The agribusiness major allows you to take core business classes at the same time it gives you versatility in choosing agriculture classes that interest you." We are proud of the quality of the agribusiness undergraduate program and are dedicated to keeping it one of the best. We place a high priority on teaching undergraduate courses effectively and working with students on a one-to-one basis. Your classes will be on both the Nebraska City and East Campuses, which are approximately two miles apart. Students can use the free Nebraska bus system for transportation between campuses. Shuttles run every 15 minutes during peak course times. The Undergraduate Program Office has many excellent resources available to you which provide information and address concerns in many areas, including: registration, transfer credit evaluation, scholarship applications, internships and placement upon graduation. Timely communication from the Undergraduate Program Office keeps you up to date on upcoming events.